You might think of the Brisbane CBD as a destination for working or shopping, but, if you look a little closer, there are fun activities (many of which are free!) for Brisbane Kids of all ages. So, if you’re after somewhere different to entertain your kids, turn your gaze centrally and look beyond the shops to check out all the fun for kids in Brisbane city. The Brisbane City Botanic Gardens (open 24/7) provide an oasis of green between the City and the Brisbane River. There are stretches of lawn on which to kick a ball or run around, a fantastic all-abilities playground, a self-guided walk or one-hour free guided tours of the gardens (11am & 1pm daily, excluding public holidays), a café, and a pathway through the mangroves along the edge of the river. The Brisbane City Botanic Gardens was originally established in 1855, making it one of Brisbane’s oldest attractions. From this central location you can also easily access the Cube at Queensland University of Technology, which runs interactive and educational displays on 48 multi-touch screens displayed across two storeys. Experience a different view of Brisbane by catching one of these free ferries that operate around the city centre from 6am to midnight, running from North Quay to New Farm with stops on both sides of the river. With a stop just up the river from the Botanic Gardens at Eagle St Pier, you could easily combine a ferry ride with a visit to the Gardens. More details of the ferry services running on the Brisbane River can also be found in the Brisbane Kids guide to Public Transport in Brisbane with Kids. The highlight of any visit o Brisbane City Hall with kids is likely going to be the Clock Tower tour, where a lift takes you up past the workings of the clock to the very top, where there is a view of the surrounding area. The tours run daily from 10am to 5pm. Tickets are allocated at the Museum of Brisbane reception on level 3 on a first-come, first-served basis. This is a popular tour so try to come early if you can. Brisbane City Hall fronts on to King George Square, which regularly hosts events including games nights, activities for kids during the school holidays, and a giant Christmas tree and light show during December. Check the Brisbane Kids events calendar to see what’s coming up for families. Hot tip: Make sure to show your Brisbane Kids the lions that flank the entrance to City Hall! The Museum of Brisbane (open 10am-5pm daily, admission free) is a great place to while away the time until your clock tower tour, and is also a deserving destination in its own right. It’s a small museum that showcases the history of the city and hosts special exhibitions and activities, including workshops aimed at kids during the school holidays. You can learn more about the history, architecture and art of the heritage-listed City Hall itself, with free tours running seven days at 10:30am, 11:30am, 1:30pm, 2:30pm and 3:30pm. Bookings are essential. Brisbane Kids with a sweet tooth who like a taste of luxury will enjoy a visit to the Shingle Inn (open 9am-4pm daily) located on the ground floor of Brisbane City Hall. Shingle Inn traded in Edward St from 1936 until 2002. It opened in its current City Hall home in 2010, with much of the fitout from the original, much-loved café reinstated at the new location. Roma Street Parkland is a 16 hectare park situated on the opposite side of the City from the Botanic Gardens, next to Roma Street Transit Centre. The trains aren’t limited to outside the park, though: there’s a train for kids that loops through the park, costing only a gold coin donation for a 20-minute ride. It’s also worth walking through the park to see the different plant displays, from gorgeous flowers blooming to the miniature rainforest. There’s a wide expanse of lawn with water features where your kids can let off some steam, with a café nearby if you don’t want to BYO food. But the standout attractions, at least as far as your Brisbane kids are concerned, will no doubt be the two amazing playgrounds on offer with fun features such as flying foxes, climbing walls, slides, swings and more. For more information, check out the Brisbane Kids detailed review of Roma St Parkland. Part of the fun of visiting the City is experiencing the bustle of the CBD streets. A fun activity for kids of all ages is spotting the public art on display throughout the City centre. There are spheres made of recycled kitchenware in Reddacliff Place, scrap metal kangaroos on George Street, a sculpture of drovers on Ann Street, and much more. And don’t forget the brightly painted meter boxes! Your Brisbane Kids can experience an eclectic array of art without even having to step into a gallery. You can download a City Centre Heritage trail map for your mini history buff, and read about the events that shaped Brisbane whilst you traipse through the streets. As it’s a self-guided tour, you can tailor it to your kids’ interests and stamina. If your kids are interested in history, it would also be worth a visit to the Commissariat Store (open Tues-Fri 10am-4pm; $7 adults, $3 school children), a museum detailing Queensland’s history that is housed in one of Brisbane’s oldest buildings, and one of only two remaining convict-built structures in our city. Trains, buses and ferries all converge on the City, and the journey there can be part of the fun. See Translink for details on how to access the City from your location, or find out our top tips in the Brisbane Kids guide to Public Transport in Brisbane with Kids. There is also on-street and off-street car parking, though you may need to be patient (or lucky!) to nab an on-street park. Off-street car parking is ample but can be expensive, particularly during the week. Researching inner city carparks online and booking in advance will save you dollars and stress in the long run, if you do decide to drive in. Whist you are in the CBD exploring different aspects you’d not previously discovered with your Brisbane Kids, why not hop a ferry to Kangaroo Point Cliffs? This Kangaroo Point Cliff guide outlines some of the activities and features of the cliffs area to check out. 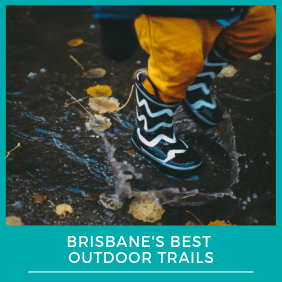 And if you’re stuck for inspiration when it comes to different things to do that are fun for kids in Brisbane City, then rest assured – the Best Activities for Brisbane Families can all be found right here on the Brisbane Kids website.